Fast-paced breakout style arcade game. Is there a better alternative to jalada Spinball? Is jalada Spinball really the best app in Action category? Will jalada Spinball work good on macOS 10.13.4? jalada Spinball is a fast-paced breakout style arcade game with amazing 3D graphics and fantastic special effects. 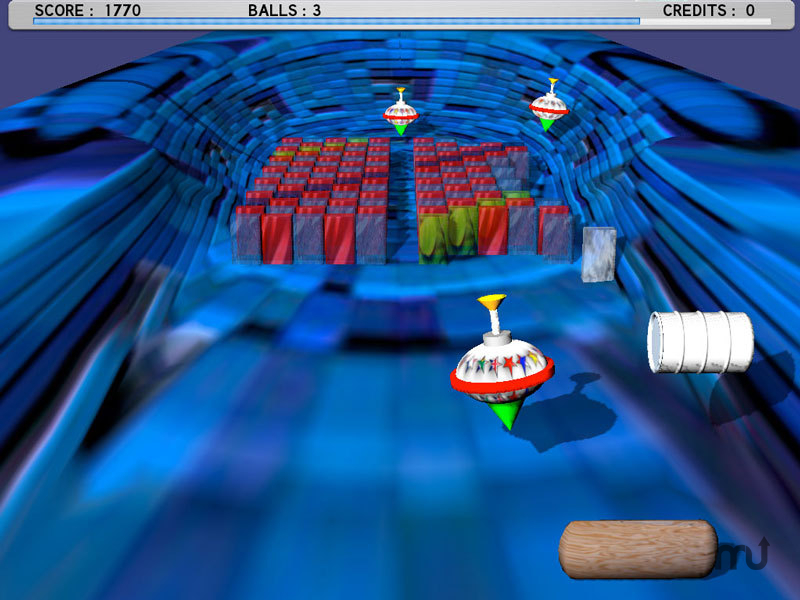 It features more than 30 colorful unique levels and if you have ever liked to break bricks, you will instantly enjoy Spinball. The real-world physics engine with an advanced collision system will take you into a completely new game experience. Feel the freely shaped world and the physically responding environment. No place for boredom anymore! Your mission is to prevent the ball from ever falling below the paddle, and to eliminate every brick from the current level in order to be granted access to the next level. This version delivers revised graphics, new special effects as well as OS X 10.7 compatibility updates. jalada Spinball needs a rating. Be the first to rate this app and get the discussion started! Your mission is to prevent the ball from ever falling below the paddle, and to eliminate every brick from the current level in order to be granted access to the next level. The paddle has the ability to transform in two ways. One is by collecting the blue Enlarge barrel which extends the length of the paddle. The other is by collecting the red barrel which transforms the paddle to a cannon. In this configuration, you can fire cannonballs into the deep of the screen. Enemies may also appear on the screen and slowly make their way down to the bottom of the screen. Your paddle can crash into these enemies which brings your paddle to explosion. Enjoy the delightful sound, graphics and gameplay!